Beds come in an increasing range of shapes and sizes. This why we sell a collection of mattresses to match. However, if you happen to be the proud owner of one of the weird beds featured, you may need something bespoke! In the name of inspiring a sense of wonder, we’ve brought together ten of the weirdest beds ever made. Behold! 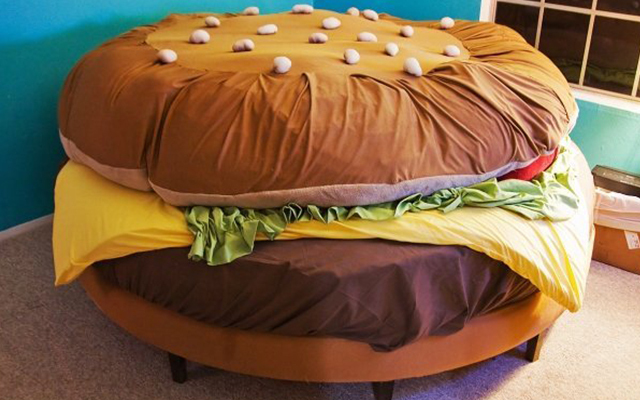 From the burger bed, through to the bed you’ll never have to make, which would be your weird bed of choice? How much do you love a good burger? Maybe not quite as much as Kayla Kromer of Austin, Texas. Kromer loved the fast-food snack so much he invented the iconic Hamburger Bed. Staring at this comfy-looking round bed you may be left confused whether to lie on it or eat it. Sold on by its creator, the bed now lives at a dedicated Hamburger Museum. Flying is one of those things everybody dreams about. But if you happened to step onto this bed, you really would be hovering in mid-air. This feat of engineering and science took seven years to develop. It also costs 1.6 million dollars to buy. Still, it looks pretty cool, huh? A bedtime story is often part of children’s evening routines. What better place to read it than in this book bed? Designed by Japanese photographer Yusuke Suzuki, this piece of furniture is bound to get their imaginations flowing. It looks pretty comfortable too! Would you like your bed to do a little bit more? How about a bed that gives you a massage, and makes room for all your gadgets? Want different spaces to relax in? Or simply a super relaxing spot where you can lie back and listen to music? With a built-in laptop table you can catch up on a little work while you watch a box set. Failing that, you could just climb in and go to sleep! Is making your bed one of those chores you loathe spending time on? Well, this bed is for you. Surely one of the ultimate adjustable beds is this self-making design. As demonstrated on YouTube via the link above, this bed straightens out those crumpled sheets for you. So it’s neat, tidy and ready for you to climb back into at the end of the day. Why are bouncing chairs and swing cribs reserved for babies? Well, thanks to the Private Cloud Bed, they’re not! This patented rocking bed is designed to use soothing motion to rock you to sleep. It's just like we do when helping new babies nod off. 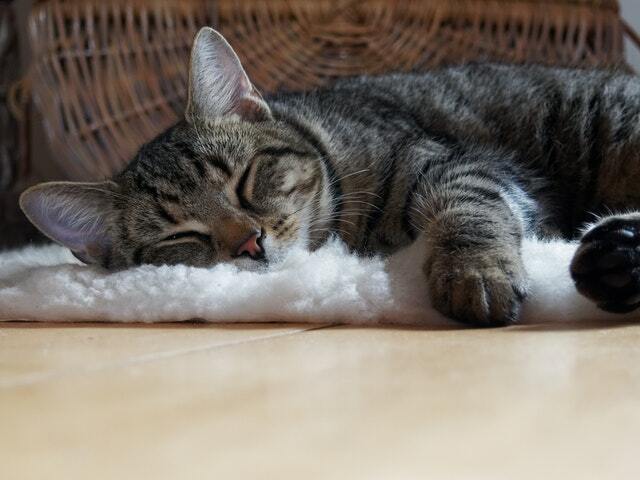 It’s called a Private Cloud Bed, which sounds pretty dreamy too.